If you're looking for a good clean pub on the northside of Brisbane with something for everyone, look no further than Murrumba Downs Tavern. Established only recently, the Tavern has a bright new feel and the facilities are first class. The Tavern was the 2010 Winner - QHA Awards for Excellence - Best New Hotel / Tavern. 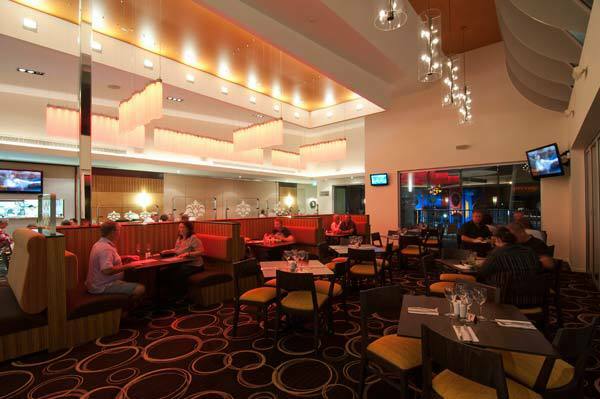 The Tavern has the usual selection of bar areas available but also offers a fine dining restaurant, Moretons Restaurant, which is one of the few good restaurants in the Kallangur, Murrumba Downs, North Lakes area. The lunch menu offers burgers and wraps with chips for around $15, or steak and a range of other items. The dinner menu includes steaks for around $30, fish, pasta and a range of other great options. A broad selection of appetisers, breads, entrees and desserts are available. The full menu is listed here. Portion sizes are large and filling. 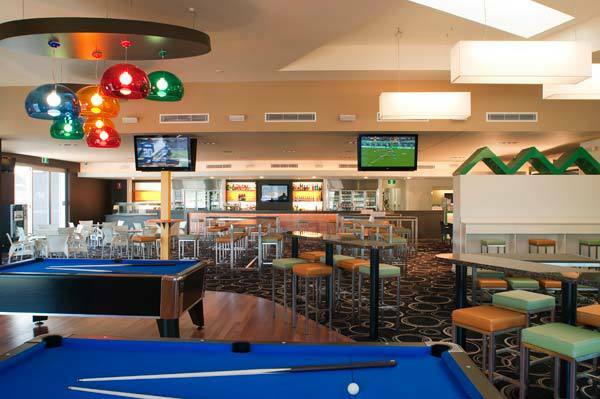 A Sports Bar for the guys is equipped with TAB and Keno, pool tables and many TV screens, as well as music screens. Events such as social darts, raffles and live screenings of the big sporting events are regularly held and advertised. Competitions and goose club are well promoted. At the time of writing this, free pool was offered between 12pm and 5pm each Sunday. The Tavern hosts live music each Friday night, and together with the Friday night football, this brings a large audience. There is also a cheaper meal option in the Sports Bar, for those who prefer a more relaxed atmosphere. The food in this area is not as tasty as in the main restaurant, but it is much cheaper prices. Of course, the Tavern has a Gaming Lounge area with 40 machines and regular promotions. Attached to the Tavern is a Bottlemart drive through bottleshop open until late (see website for times). The restaurant area in this Tavern feels more like fine dining than pub food, so if you're after a nice meal this place is a good option. Likewise, if what you're looking for is a good afternoon or night out watching a bit of sport, playing pool or relaxing with mates, then the Sports Bar will keep you happy. This Tavern is definitely worth a look.